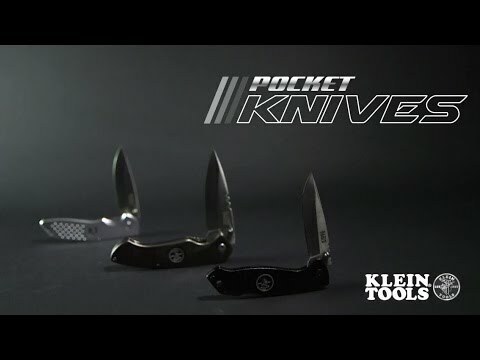 Klein Tools pocket knives are trade-tested, valuable for splitting cable and stripping wire as well as performing everyday tasks on the jobsite. The knives are durable, with long-lasting, sharp blades. This Electrician's Pocket Knife has wire stripping notches on the stainless steel blade and an aluminum handle for corrosion resistance.